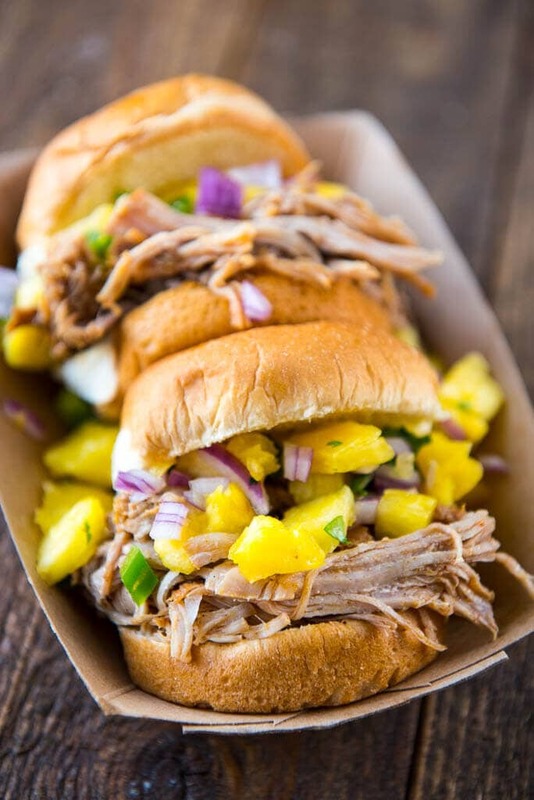 Delicious juicy pulled pork with a Caribbean Jerk kick! This tasty Pressure Cooker Pulled Pork can be made the slow cooker or the Instant Pot! 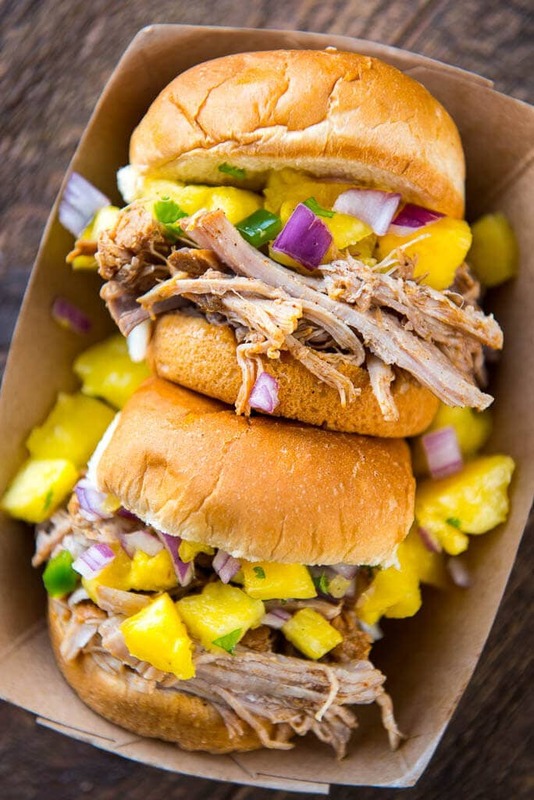 Pressure Cooker Caribbean Jerk Pulled Pork is perfect for a quick and easy refreshing meal. 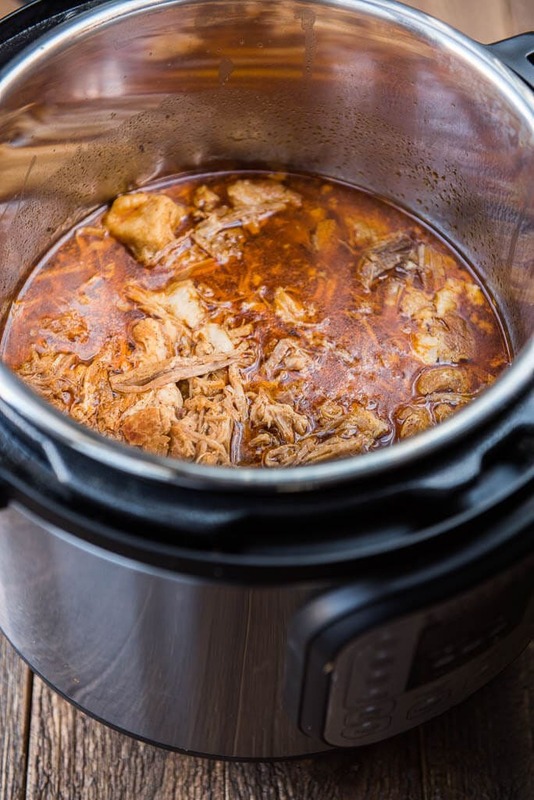 Using your slow cooker or your pressure cooker as the weather warms up is just pretty much genius, especially when you use it to make this Pressure Cooker Pulled Pork! I mean, I love to grill out as much as the next girl, but after work or during a get together, who wants to be standing outside, getting all smoky smelling and worrying over the food when you could sit back and put your feet up with a cold beverage? 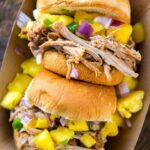 This Pressure Cooker Caribbean Jerk Pulled Pork is pretty much the most amazing warm weather meal and couldn’t even be easier to make. I decided to make mine in the Instant Pot this time so that I could compare and decide if pressure cooking was better than slow cooking. The results are pretty much equal, so the method would really come down to timing. Would you rather throw it in the slow cooker in the morning and have it ready when you get home at dinner time? Or would you like to get it started in the afternoon? Or would you like to make it ahead of time and re-heat it later? Timing wise for me, slow cooking is still the best option, although the pressure cooker has come in quite handy a time or two in a pinch when I forgot to start dinner in the morning. When’s the best time to serve Pressure Cooker Pulled Pork? When you want to eat amazing food! If you want to go back to basics and serve up a regular slow cooker pulled pork, check out my most popular recipe! 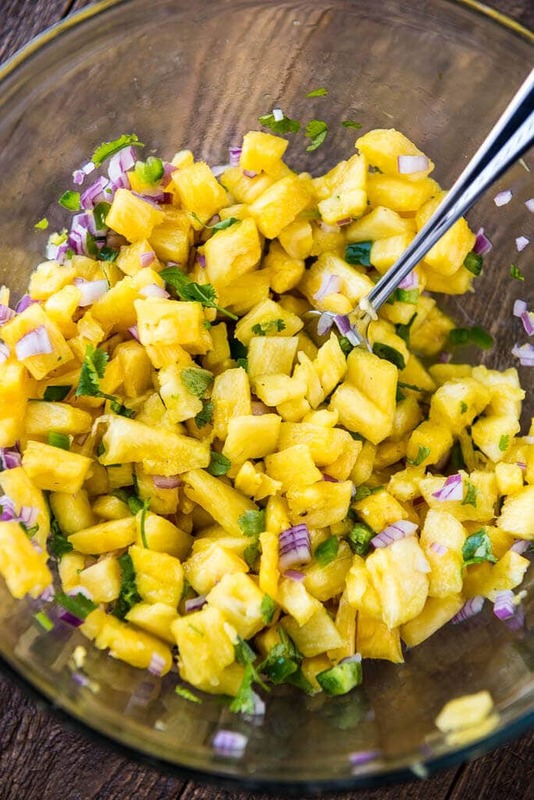 Another key component to the recipe is the pineapple salsa. It’s only been recently that I’ve discovered that I actually love pineapple, so be on the lookout for everything pineapple the next few months. I’ll try not to get too crazy, but I can’t promise. Or maybe even just with a fork? Time to start dreaming of summer, fresh flavors and delicious food! Pork should shred easily with forks. If not add additional cooking time. 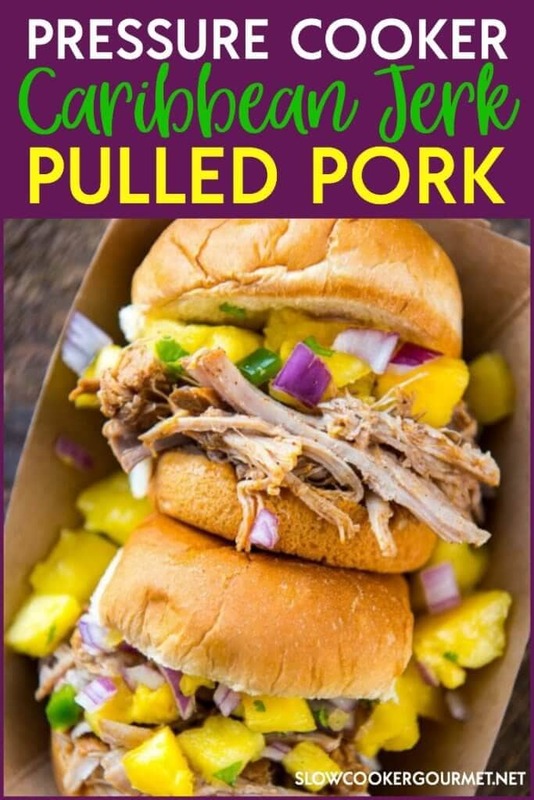 I would double them and cut the pork into a few smaller pieces before cooking. The thing that I love more about Caribbean food is that they always add some type of fruit. I’m trying a pressure cooker for the first time tonight and want to try this cartoonist pork recipe. I’ve read I can cook from frozen in the instant pot, are there adjustments to cooking I need to make? For frozen, you will need to add time to the recipe. What size pork shoulder are you using? You’ll generally need to add 5-10 minutes, and of course, always check the temperature for doneness.